Poll: Who is MM's next graduate? Who is MM's next graduate? Not many people thought Kudo Haruka would've been the next grad, but lo and behold! Everyone's top guesses were people like Fukumura, Ikuta, Iikubo and Sato. Of course there's all members we want to graduate.... But who do you think will actually leave? The average age of MM will be about 18 in the year 2018... 2018 is also H!P's 20th anniversary. You can make 2 choices on the poll--please don't make more than 2! Kudo Haruka, 10ki (Fall 2017); To pursue acting. Suzuki Kanon, 9ki (Spring 2016); To leave the entertainment biz and become social worker. Sayashi Riho, 9ki (Winter 2015); To study dance and English in America. I feel like once Haruka is gone Masaki won't enjoy MM as much, I also took her back injury into account. I want Mizuki to leave but it’ll probably be Masaki or Iikubo. But I also think there’s going to be an unexpected graduation once again since that seems to be the pattern. I voted for Mizuki and Haruna. Haruna, because as long as I mention her here she won't graduate. Mizuki, because it's time. Give Ikuta a year or two as leader, please. I also thought of Masaki, same points as Mukuro, but I don't know. Wouldn't be surprised, honestly. Mizuki: UF would have to drag her out, but she doesn't really bring anything to the group, voice aside, but she's dropping. Will work for m-line and does occasional events and photobooks. Haruna: She herself thinks she's getting too old. Once she's 25 she's out. Ayumi: Will become the next Shimizu Saki with doing choreographies and stage plays. Masaki: Her back. Will officially leave showbiz and write lyrics under a pseudonym. Sakura: Will try solo stuff. They give her two years and realize the market is dead. Oharu: Graduates when she's done with university. Granted, everyone from here on is unlikely to graduate soon imo. Miki: I have no idea why she should graduate, honestly. It's all great for her at the moment. Becomes UF president or something. Maria: Scandal, off to marry some baseball dude or something. Akane: Is found out to write dirty AyuDuu fanfic and therefore kicked. Kaede: Will get frustrated that after all that work in the KSS she's still only a background member in MM. Considering her age she'll probably graduate in her early 20ies which isn't that far off. Yokoyan: They realize she's just Kamei Eri who sneaked back into the group. Chii: A combination of post-CG sadness (especially once they dissolve them in one or two years) and the stress Up-Front puts on every MM "ace" will make her leave early. I put Mizuki and Iikubo. Mizuki because she looks to be exhausted and not as enthusiastic as she once was, and Iikubo for her age. I voted for Haruna and Ishida thou. I would kind of want Haruna out, and being realistic, only the girls up to 11th are up there for graduation, and out of all the other girls, I think the 2 less expected would be Oda and Ishida, and I voted the latter for that reason. Masaki: For the most part she is the first one I want to be gone, and possibly with Haruka. The deal with her is I REALLY like her in the singles where she is a lead, cause she is good at those songs, but the songs were she is just front-girl level, like 3rd or 4th featured member, she's just terrible. She often screams and yells in every group line. Listen to Jealousyx2 with and without Masaki and you'll notice that one voice screeching and yelling her lines in the chorus. Mizuki: Same reason everyone gives for her, gets boring and she's the leader which gives you even more reasons to want her gone so you can see another one get the leadership. The others (minus Sakura) won't graduate, and if any of them do I just hope it's Ogata and we don't have a premature lose for someone who can actually do anything. My guesses were either Ishida or Morito. Though I think it's quite likely for Mizuki.... She definitely has lost a lot of spirit this past year. It almost hurts to look at her or listen to her when she's so obviously depressed. I chose Ishida because she seems to have hit her peak, and has no ambitions either in the group or otherwise. But if she still wants to do SOMETHING with dance she needs to gtfo now... She also doesn't strike me as a lifer. I don't think she's one to have deep connections with other members so that's even less of an incentive for her to stay. I think once she sees a better opportunity elsewhere she'll go. In the end, though, I think she'll find a man and want to settle down before she gets her career goals in order post-grad. Morito was a bit more tricky. Personally, I think she's still very much hung up on CG... and that she'll never be able to get over it and really blend with MM properly. I think she's come to like the very cutesy CG songs, which MM has very little of. If CG doesn't make some type of full comeback I can see her just wanting to leave showbiz and focus on some kind of schooling. My best bet would be nursing school but who knows. I voted for more than 2 I'm sorry... I didn't read before I voted. But I really think Masaki will go next. Guess: Ayumi. No real reason, just a hunch. Maa is a lifer, and she'll only go if her health forces her out. Of the group of girls most likely to graduate next, there are two who I really want to see gone, and anyone who has followed this bbs already knows who they are. Outside of Sakura and Maa, though, I'm cool with any of the remaining pre-12th Gens leaving. With that in mind, I predict Sakura and Maa will be next to graduate. Ayumi or Masaki, just because. 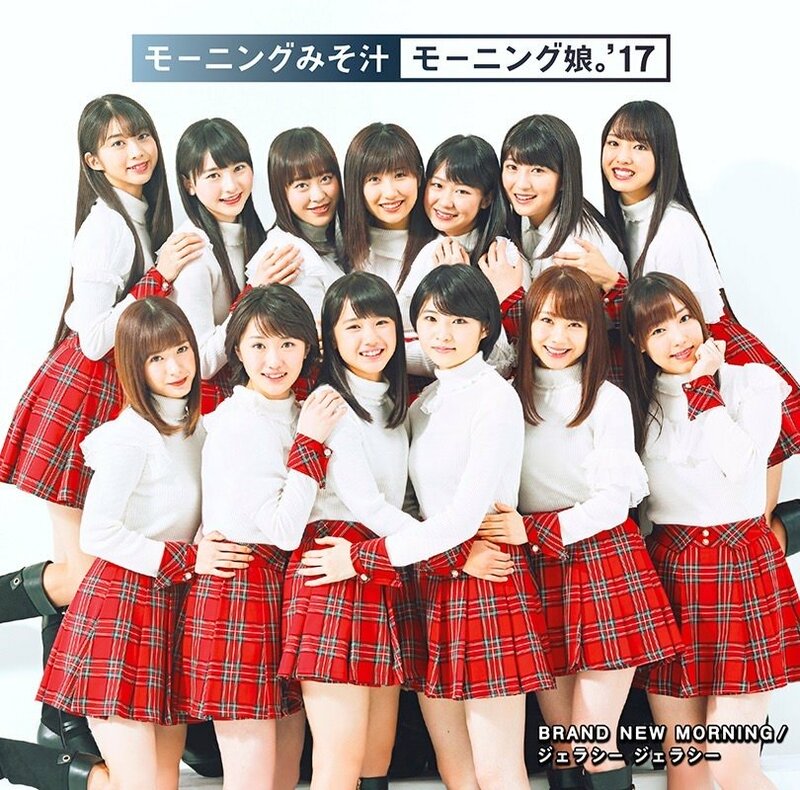 Neither really has any good prospects for them post-grad but it just feels like it'll be another 10th gen member. I voted both Harunas, both related to age... Harunan because she's older. For ogata, I feel like being around 18 has been the reasoning for a lot of these graduations lately, they want to go in a different direction. But maybe I'm just totally throwing a wild guess in there. Is there a specific reason for why 10th gen is much more "popular" in this vote than the older 9th one? There seems to be a contingent that just doesn't like Masaki, too. But the OP defined "Of course there's all members we want to graduate.... But who do you think will actually leave? ", so I didn't chose her, since she seems reasonably popular in general. Well the first ones to go in 9th and 10th gen were both popular. Much more so than someone like Masaki.